The PowerScan 9500 family of imagers represents the new 2D handheld area imagers with rugged mechanics for industrial applications. 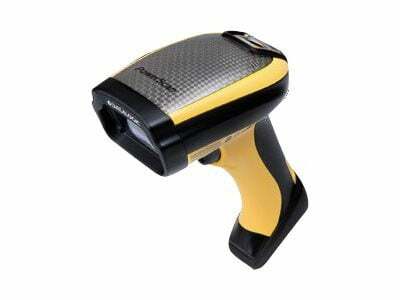 Recently launched, the corded PowerScan PD9500 models have already demonstrated their value in the field. With this introduction of the cordless Bluetooth wireless technology radio model, PBT9500, the 9500 family will be enriched greatly and will allow users to have the freedom of mobility. An intuitive and effortless scanning experience is the target of the PowerScan 9500 family: it is a blend of the Datalogic experience with optical systems, hardware architecture, decoding software and cordless technologies. The result is an area imager with outstanding performance in terms of snappiness and depth-of-field.